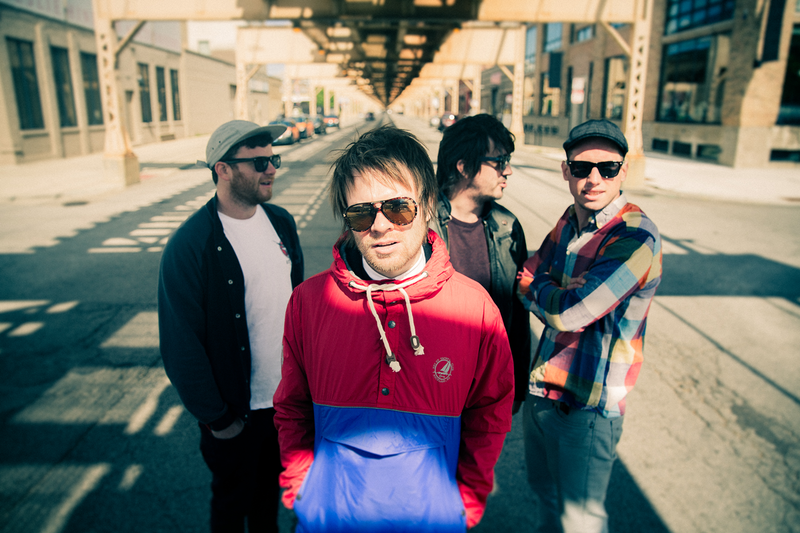 Enter Shikari Release Surprise Single “Hoodwinker” – Ouch That Hertz! (October 11th, 2016) – This past weekend, Enter Shikari surprised fans by unexpectedly dropping a brand new track (and accompanying music video) entitled “Hoodwinker.” The track received its worldwide premiere, courtesy of Daniel P Carter on BBC Radio 1’s Rock Show, and then appeared on streaming and download services immediately after. Initial recording of the track was started at the same time as January’s one-off “Redshift“ single, then completed during free time between summer festival performances. A f*cking visually epic DIY video was shot in August, utilizing family resources (Rob’s brother, Rou’s uncle, for example) and friends who didn’t mind getting wet. Enter Shikari will unleash the sixth in their “Bootleg Series” of albums with the release of Live at Alexandra Palace, digitally in the U.S. on November 11th and can be pre-ordered Stateside here. In the UK, the album will be released on colored vinyl double LP and a double CD. More details and pre-order information regarding this release can be found here.